Breathtaking hilltop water views of spring fed Lake Ola with crystal clear water. This residence is situated perfectly to enjoy the serene backdrop and refreshing lake breeze. The shimmering water creates an idyllic setting to enjoy from the screened front porch and from numerous living areas within the home. A guest cottage/in-law suite makes this home ideal for multi-generational living and thereâs NO HOA. The main residences takes advantage of the lake views and offers spacious cozy living areas. A stone fireplace creates a main focal point of the family room and a screened area in the rear creates the perfect atmosphere to relax in the hot tub. The gourmet kitchen has been renovated with granite, stainless steel, and updated cabinetry. A surprising find in this home is the spacious closet space thatâs not typically found in homes of this era. This home has had numerous updates and improvements which include a new roof in 2017, updated HVAC, upgraded electrical, updated flooring, and so much more. A complete list of improvements which come close to $200k can be found in the attachments. 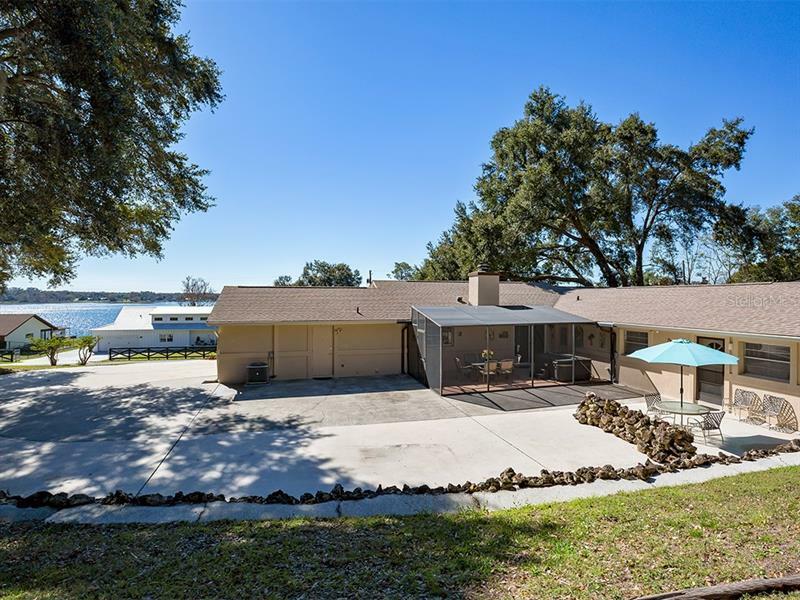 You get all this in a central location within a short drive to Orlando, Maitland, downtown Mount Dora, and highway 429. Youâre home.